Hillary Sawchuk, A Drink With | Be Like Peter. Company Description: An online publication that sits down with the most interesting and influential celebrities, artists, athletes and industry leaders one drink at a time. 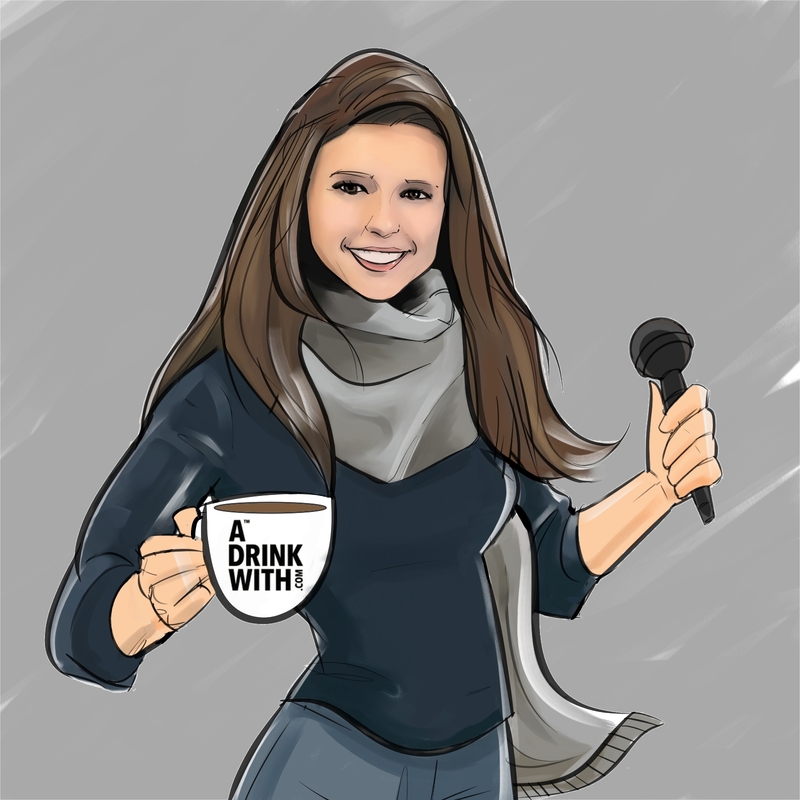 Hillary Sawchuk is the founder and CEO of A Drink With, an online publication that sits down with the most interesting and influential celebrities, artists, athletes and industry leaders one drink at a time. To date, she’s interviewed over 200 individuals including celebrities such as John Legend, Common, Aaron Paul and Daymond John; and has worked with creative partners like Jim Beam, Acura, and most recently, Virgin Hotels. She is building her internet publication one reader at a time, one interview at a time and one drink at a time. Since then, the site has gone through two major redesigns and Hillary is already visualizing the site’s next face lift. “It’s always a work in progress.” She reminisces jokingly about how at the beginning, before she learned more about web design, she told her web designer that she wanted to use Beyonce’s website as a model – turns out Beyonce’s web design budget is pretty big… but it’s only a matter of time. Since the inception, Hillary knew she wanted to turn A Drink With into a business. Originally, they conceptualized a more traditional ad model to make revenue. Luckily, after watching an episode of Jerry Seinfeld’s Comedians in Cars Getting Coffee​, she was inspired when she noticed that Accura was the sponsor of the series episode.“We definitely didn’t even realize that was a thing!” As a result,[because Acura is a sponsor of the Sundance Film Festival] they reached out to Acura and pitched an interview series featuring the Sundance Film Festival’s actors, directors and producers in attendance. Hillary has the opportunity to interview influential celebrities at the international, national, and local level. Her dream is “to have a presence in every city, and to get to know the up and coming talent and people behind your favorite bars and restaurants.” Even with growing access to big-time celebrities, Hillary always wants to make room to feature the people behind local brands in a city. Looking back, Hillary believes that “everything happens for a reason. I feel like I had to go through some of the lessons I’ve learned along the way so that I can apply them the rest of my life.” Look for Hillary having drinks with all the cool kids at the Virgin Hotel Chicago.